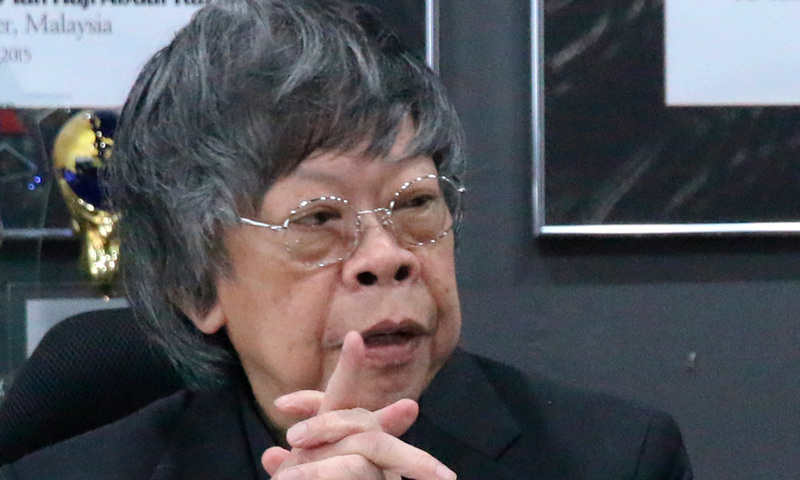 Public relations guru Lim Kok Wing's tweet in support of Prime Minister Dr Mahathir Mohamad has earned a lashing from the premier's daughter Marina. 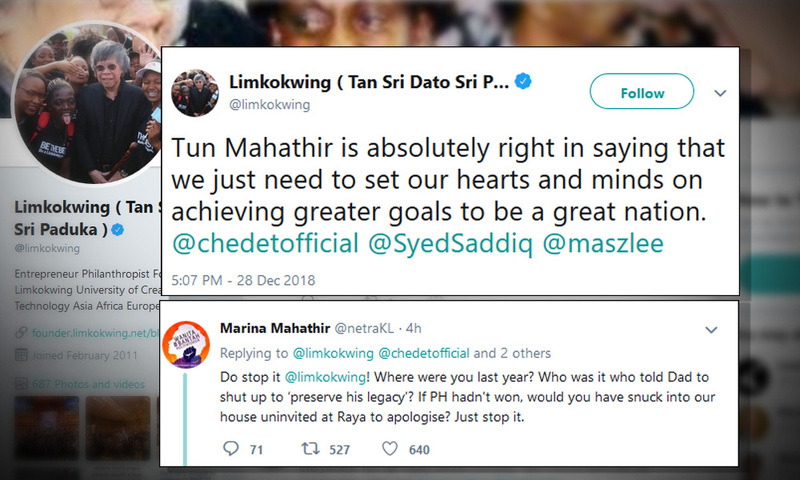 Lim tweeted this morning that Mahathir was "absolutely right in saying that we just need to set our hearts and minds on achieving greater goals to be a great nation." Marina responded later in a tweet of her own, and accused Lim of being critical of Mahathir just last year. "Do stop it @limkokwing! Where were you last year? Who was it who told Dad to shut up to 'preserve his legacy'? "If Pakatan Harapan hadn’t won, would you have snuck into our house uninvited at Raya to apologise? Just stop it," wrote Marina. Similarly, most of those who responded to Lim's tweet had accused him of apple polishing now that Mahathir was back in power. In response to some of these tweets, Marina also revealed that during the Hari Raya event, she was surprised to find Lim (photo) in the kitchen. "Couldn’t believe my eyes when I saw him skulking about in our kitchen," she wrote. In 2015, Mahathir had wrote a blog post about a friend-turned-foe and it was likely alluding to Lim. Mahathir said that the friend had attempted to persuade him to stop criticising then prime minister Najib Abdul Razak. "He warned if I continue I would lose my legacy. I told him what people think of my legacy, if there is any, is not important. I am concerned of what is happening in the country. Our good reputation is being eroded. "He repeated several times that I would lose my legacy. I really appreciated his concern. He is a friend and I felt he cared for me. We parted as friends," he added in his blog.